When having concrete driveways in El Reno poured at your home or place of business, it is important that you hire a well known, reliable, and trustworthy professional to do the job. 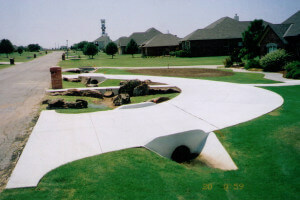 When you choose Bill’s Custom Concrete for the job, you are going to receive just that. Not only have we poured thousands of concrete driveways, we also guarantees the best quality work and finish, and we use only the most durable grade of concrete, for all of the work that we do. 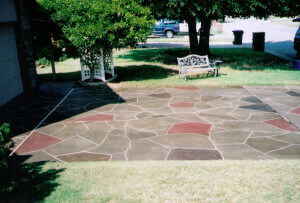 No matter what size driveway it is, what quality work you want done, or what custom design patterns you might be looking for, when having concrete driveways in El Reno, OK laid down, it is important that you hire the most professional, and most experienced individuals for the job. Not only is Bill’s Custom Concrete, Inc. a professional concrete contractor in the trade, customers are also going to find hundreds of positive reviews and referrals, from former customers, and you are able to see the work we have done in the past, so you know what quality we are capable of creating.